Ahwatukee is a community located in south Phoenix. Ahwatukee is bordered on the north by South Mountain Park, on the south by the Gila River Indian reservation, on the east by Interstate 10 and on the west by state owned land. 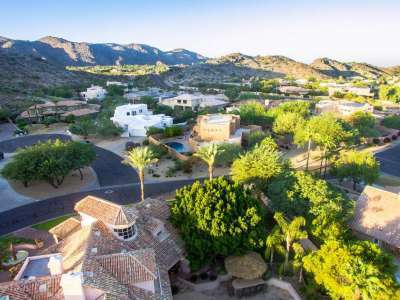 Ahwatukee is nestled up to the foothills of the South Mountain Park/Preserve. This Park/Preserve is one of the largest municipally operated parks in the country which is more than 16,000 acres. It boasts 51 miles of primary trails for horseback riding, hiking and mountain biking. For more information about the South Mountain Park/Preserve, click HERE. The Ahwatukee community provides easy access to great shopping, sky harbor airport, freeway systems, Arizona State University and many sporting events.